Based on teachings delivered by Gelek Rimpoche on the nature of mind, this course addresses the relationship between energy and mind, the mind's capacity for liberation and wisdom, and continuity of consciousness. One needn't be Buddhist to benefit from this course. SEM: The Nature of Mind includes special guest speakers alternating with Jewel Heart instructors. The course covers six topics over twelve sessions. 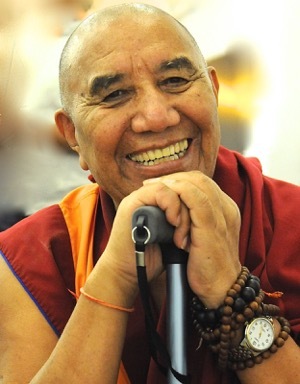 The course transcript, SEM: The Nature of Mind by Gelek Rimpoche is available for download. Audio and video recording become available upon purchase. The course fee is offered with Sliding Scale options from $55, only choose one. 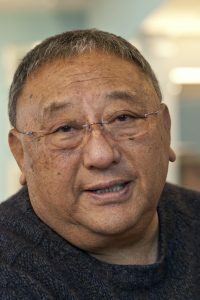 Gelek Rimpoche's 2013 Summer Retreat SEM teachings are available in the On Demand Audio section with a Digital Dharma Subscription. If you would like to become a Digital Dharma Subscriber, please go to https://www.jewelheart.org/digital-dharma/. The nature of the mind is like light: clear, lucid and knowing. All obstacles and blocks are temporary. When there is nothing blocking or obscuring the mind, it can function to full capacity. It requires understanding the nature of mind—through concentrated and analytical meditation—to overcome the delusions and negative emotions associated with them. Mind and energy work together. In Tibetan energy is referred to as “air” (lung). This energy travels in the channels. There are three main channels. The gross mind is initially comprised of five root energies and arises from subtle mind during the stage between conception and birth. The very subtle consciousness or primordial mind (nyung sem) is inseparably combined with subtle energy as an interdependent phenomenon. Buddha said the best thing you can do is tame your mind. An untamed mind is like a monkey or a wild elephant. A tamed mind opens the doorway to happiness. It is the best protection. It brings joy. But in an untamed state, the mind can bully us. Body and speech are completely controlled by the mind. If our mind is not tamed, we are slave to our addictions and negative emotions. We will never experience true peace, joy, and happiness. Mind has no limits, neither materially—through scientific research, for example—or spiritually through the practice of a living tradition. Mind is comprised of 51 mental faculties. Some are fundamental to its basic functioning. Others are positive, neutral or negative and need to be enhanced or quelled. The purpose of knowing the mind is to tame it. This makes the mind happy and joyful. Otherwise we are in danger of negative consequences. The mind perceives. If what it perceives tallies with the mind’s reality and nature, the mind accepts and can become that. If what it perceives doesn’t tally with the mind’s nature it struggles. When the obstacles to the truth are removed we can see clearly. We call that wisdom. Wisdom directed against the deluded ego is powerful because it is perceives the truth. And we know that ultimately truth prevails. The mind has no form. Its fundamental nature is lucidity and understanding. In its most subtle aspect, it is consciousness and energy. From the Buddhist standpoint, mind will never become matter and matter will never become mind. Matter has its own continuum and so does mind. Likewise, mind cannot become non-mind. Our present identities are dependent on form and context. 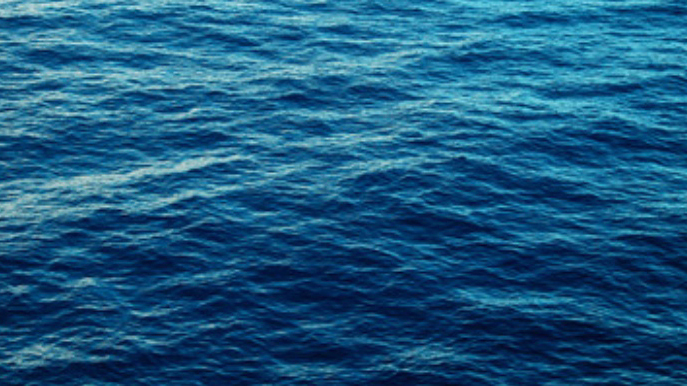 Since these are impermanent, our identities are impermanent. At death, as the elements that are the basis of our form dissolve along with those of the gross mind, the mind withdraws to the consciousness itself, where we come face to face with the primordial mind. What happens next depends on whether we’ve prepared ourselves to recognize this or are still under the influence of wrong perceptions. To continue with Gelek Rimpoche's bio, click here. Graduate of Harvard University, PhD in Buddhology, Thurman is currently the Jey Tsong Khapa Professor of Indo-Tibetan Buddhist Studies at Columbia University. In 1972, He founded the American Institute of Buddhist Studies , with mission to research and translate the 4,000 works of the Tibetan Tengyur into English, volumes gradually being researched, translated and published with Columbia University Press as Treasury of the Buddhist Sciences. 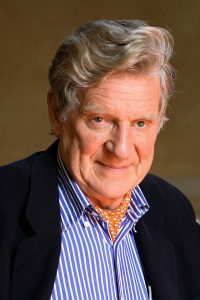 For more information, visit https://bobthurman.com. 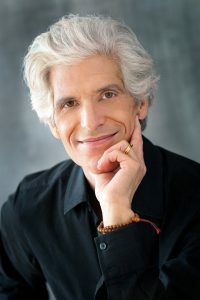 Joseph Loizzo, M.D., Ph.D. is a contemplative psychotherapist, clinical researcher, and business consultant who integrates ancient contemplative science and technology with contemporary breakthroughs in neuroscience and optimal health. He founded Nalanda Center for Contemplative Science and is on faculty at the Weill Cornell Center for Integrative Medicine and the Columbia University Center for Buddhist Studies. He has published books, translations, and several articles and also has a private practice in Manhattan. For more information, visit http://www.nalandainstitute.org. Khen Rinpoche Geshe Lobzang Tsetan was appointed abbot of Tashi Lungpo monastery in Bylakuppe, India by His Holiness the Dalai Lama in 2005. Born in Ladakh, India, he left his village in 1953 at the age of fifteen and walked all the way to Shigatse, Tibet to join the Tashi Lungpo monastery. He returned to Ladakh in 1960 to escape the religious persecution in occupied Tibet. Khen Rinpoche is also the founding director of the Siddhartha School in his native village in Ladakh, India. Serving children preschool age through tenth class, including nomadic children and orphans of the remote Chang Tang area, the school has educated some of the most academically accomplished graduates in the Jammu and Kashmir state. 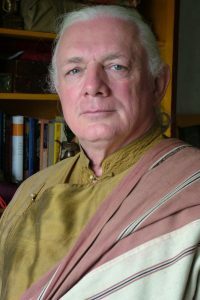 Glenn Mullin is a Tibetologist, Buddhist writer, translator of classical Tibetan literature, and teacher of Tantric Buddhist meditation. He studied philosophy, literature, meditation, yoga, and the enlightenment culture under thirty-five of the greatest living masters of the four schools of Tibetan Buddhism. Glenn is the author of over 20 books on Tibetan Buddhism, founded and directed the Mystical Arts of Tibet, and has curated a number of important Tibetan art exhibitions. . He divides his time between writing, teaching, meditating, and leading tour groups to the power places of Nepal and Tibet. For more information, visit http://www.glennmullin.com/new/profile.php. Cyndi Lee is the first female Western yoga teacher to fully integrate yoga asana and Tibetan Buddhism. 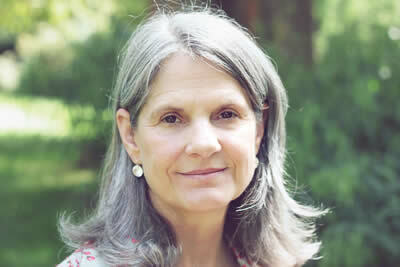 She is the author of Yoga Body Buddha Mind, and May I Be Happy: A Memoir of Love, Yoga, and Changing My Mind. Cyndi holds an MFA in Dance, is a long time student of Gelek Rimpoche and is currently training to be a Zen Chaplain under the auspices of Roshi Joan Halifax, emphasizing service in areas of women’s health and physical resiliency practices. For more about Cyndi Lee, visit http://www.cyndilee.com/.